EnglandExplore is a website for those that love everything to do with England. Whether its as a (potential?) travel destination, a former/future home or just an interest of yours, we have something for you. 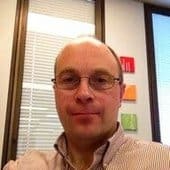 I’m Chris Young, Editor of englandexplore.com. I’m British but in 2001 I decided to move overseas (Australia) where I now live with my gorgeous wife and two sons. Despite loving my new home, I still hanker after my place of birth. It is this hankering that gave birth to this website. Moving away from a place makes you appreciate all the things you took for granted when you were there. In particular I never appreciated properly the beauty of the countryside or history and culture of England until living somewhere else. Well, I hope this website makes partial amends for this neglect. It is, if nothing else, a labor of love for the land of my birth (if not the weather). And so, if you feel the same way please stick around for lots of great articles on the best of England. In the meantime, I look forward to having you around.